Hey everyone! 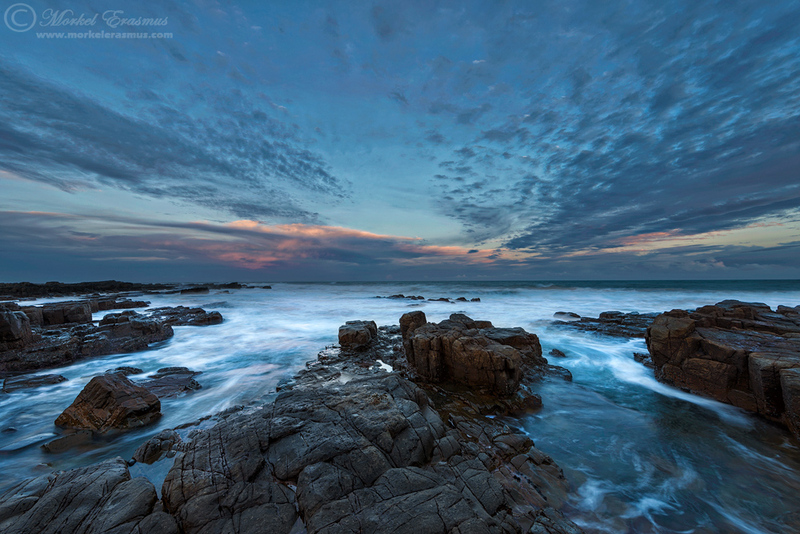 I just returned from a family holiday to the Wild Coast region of South Africa. We visited family in the quaint seaside town of Gonubie, a few kilometers outside East London in the Eastern Cape province. Due to the focus on family time and some ghastly weather for a couple of days I was only able to get round to shooting some seascapes on our last afternoon. Light was promising initially, but fizzled out just as it was about to peak with clouds moving over the horizon in the West. This was taken into the East over the Indian Ocean. It's comprised of a blend of 2 exposures using the grad tool in Adobe Photoshop CC (plus some further tweaks with Nik Color Efex 4). I went for a composition where the sky and land sort-of mirror each other, and I also got the last of the promising light on the yonder cumulus clouds. I hope you enjoy this one. Have a lovely day, and thanks as always for stopping by! Seeing that I recently returned from leading a photographic safari to the Chobe river, I thought I would post a link to a blog post I wrote early in 2013 for the Wild Eye blog, showing some of my visions of the Chobe in monochrome after our first visit to the Ichobezi houseboat on the river. As we were cruising along the Chobe river that straddles the Chobe National Park in Botswana and the Caprivi strip in Namibia, we came across a pod of Hippopotamus who were out of the river quite late in the morning. 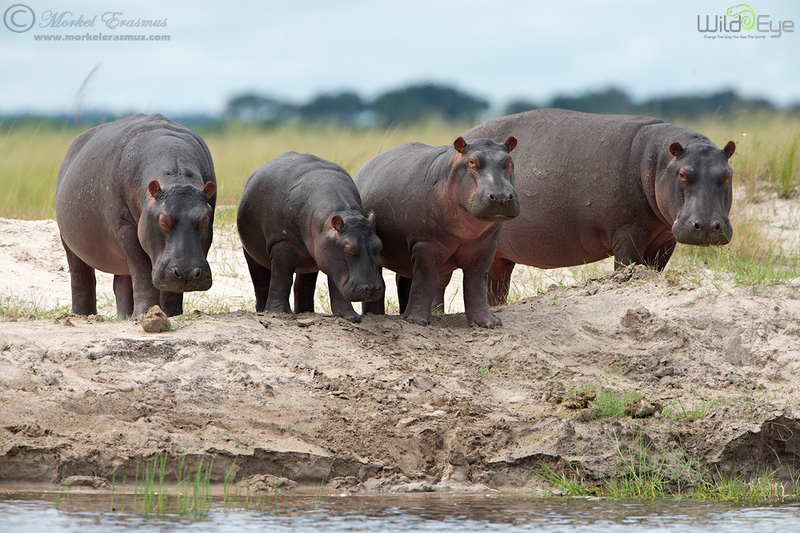 Hippo usually come out to graze at night and return to the water as the day breaks. My guests and I were able to capture a couple of lovely photos of these youngsters lazily standing on the riverbank, not entirely committed to getting wet just yet. Some of them looked like they were standing up sleeping, in fact. We were able to maneuver nicely with our specialised photographic boat for lovely photographic opportunities, even as they eventually stepped into the water. The Cape Fox (Vulpes chama) is the only true fox genus in Southern Africa. They are nocturnal animals for the most part, but in places like the Kgalagadi Transfrontier Park you often get to see them early in the morning or at dusk. Towards the end of the year they start denning, and this is when photographing them can be at its most productive: the kits are playful and boisterous, eager and curious to learn more about the big world they suddenly find themselves in. This creates some problems for their mothers who are tasked to raise them alone...protection and vigilance. This photo shows two remaining kits of a litter of 3 playing in the cool of an overcast morning in the Nossob riverbed, with mom dutifully keeping an eye out for danger in the background. Cape Fox kits have high mortality rates, as there are many predators, raptors and snakes eager for a quick morsel. Given how popular my last two wallpapers have been, I've now decided to post a new downloadable HD resolution desktop wallpaper every month. This month I chose a photo of a beautiful male lion - I mean, who doesn't like having a lion on their computer screen? This regal male was photographed in the Mara Triangle conservancy in Kenya (part of the Masai Mara ecosystem), and is one of the leaders of the Oloololo pride. I captured this photo while leading a Wild Eye Great Migration Photo Safari - click on the link to see more info on how you can join us this year. 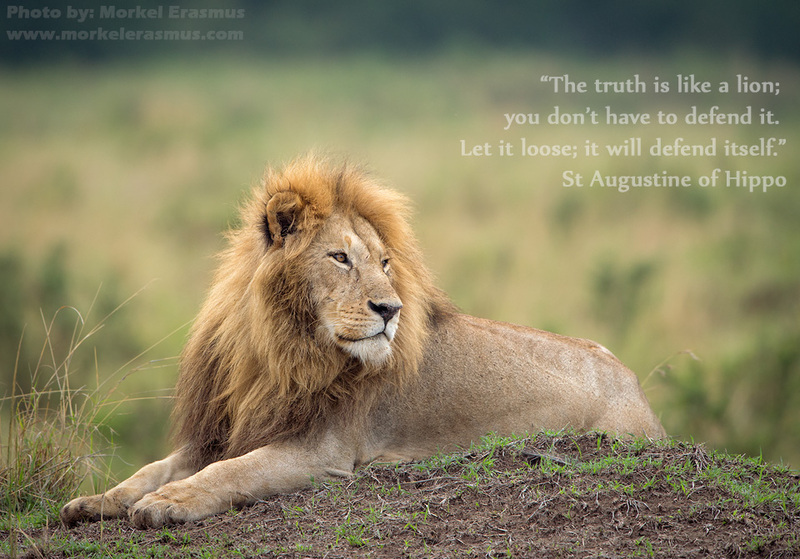 "The truth is like a lion; you don’t have to defend it. Let it loose; it will defend itself." Feel free to share this post with anyone whom you feel would love to download this wallpaper! Also, take note that you are welcome to contact me for any fine art prints that you desire from my portfolio - you can mail me directly at morkel@morkelerasmus.com! 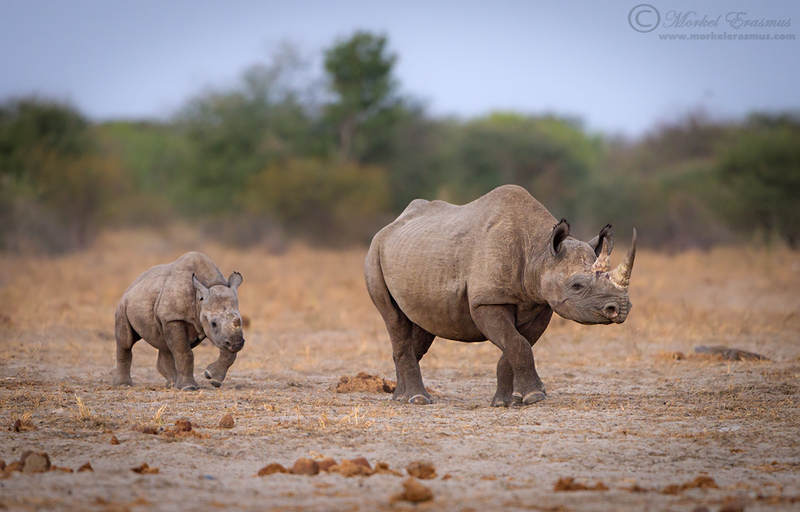 I am grateful to have had some opportunities to photograph the critically endangered Black Rhino in recent years. These images might be the only way my children's children get to see these magnificent creatures. Eventually, they got to the water, and by that time it was too dark for decent photography - so I put the camera down and just enjoyed watching them drink peacefully as the stars started blinking around us...a special and rare moment in Africa! The light was very low, so I opted for a slower shutter speed given the pace that they were moving at. I also utilised my Nikkor lens' Vibration Reduction function for better sharpness. When you are out on safari, one of the biggest pitfalls you can find yourself in is only chasing the "big" sightings and the iconic species, and moving past so many amazing moments of natural history that play themselves out every day in the bush. During the recent photographic safari I led to the Chobe river in Botswana for Wild Eye, we sat watching a herd of elephants drinking from the river one afternoon, when suddenly we noticed a commotion around the nose of the small photographic boat we were sitting in. The boat was banked just on the riverbank, and there were yellow butterflies fluttering all about. A couple of birds had taken an interest in these butterflies, and started hunting them down as they realised this was a quick and easy chance for a snack. Always keep your eyes open for the opportunities delivered by the smaller critters in the field! 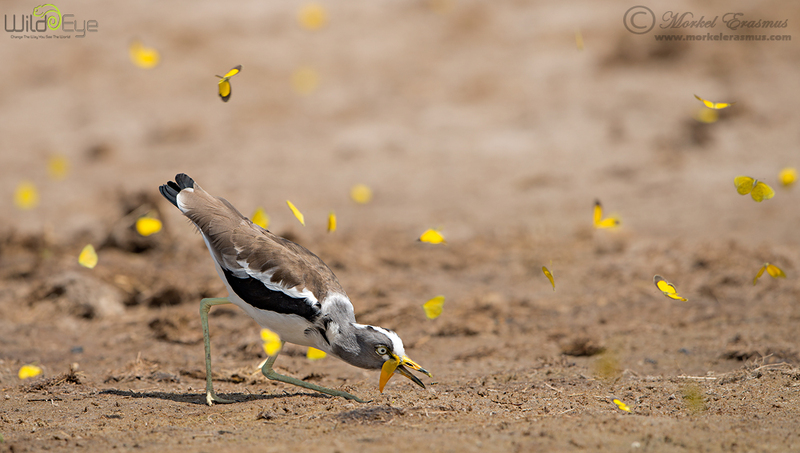 I mince no bones about the fact that I absolutely love Mana Pools. It is currently (and will probably remain for a long time) my favourite safari destination in Africa. This is an older post of mine over on the Wild Eye Photo Chat blog, describing how a potential day on safari with us in Mana Pools might go. Just looking at it again makes me yearn to be back there! You can read the original post, with plenty of eye candy in the form of photos, HERE. You can also find out more information about joining me in Mana Pools on a safari ini 2014 HERE.